Which method are you most likely to use when you make your grand exit? If you're wondering how to quit a job, think of it like dating. Quitting your job is like breaking up with a partner. Sometimes you feel terrible about it; other times you feel pretty darn elated to be moving on. Alternately, you could feel overwhelmingly…neutral. What HBR says it is: You meet with your manager to explain why you’re leaving, and you give them a standard notice period. What HBR says it is: Similar to a by-the-book quit, this method focuses more on how grateful you are for the opportunity to have worked at the company, and sometimes includes an offer to train a new person. What HBR says it is: You told your manager a while back that you were looking for a new job or thinking about leaving, eliminating most of the surprise from your final announcement. When you should use it: “This transparent approach can be especially useful if you want to prioritize your manager’s planning needs and maintain good relations,” Liu says. When you should not use it: Avoid this approach if you’re leaving for a direct competitor or you’re concerned about an early dismissal from your current job, Liu says. What HBR says it is: This is the same as the by-the-book quit, minus the explanation. 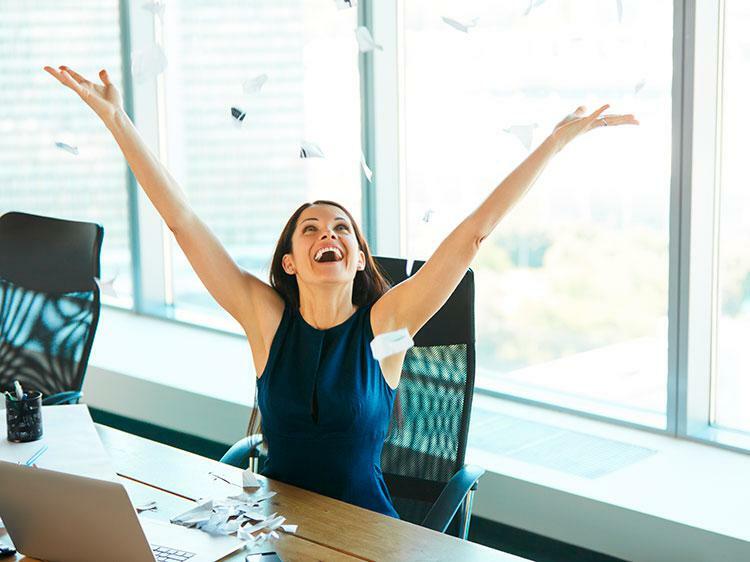 When you should use it: Your employer is not automatically entitled to an explanation about why you’re quitting or where you’re going next, says Karlyn Borysenko, principal at Zen Workplace, an organizational development consultancy based in Merrimack, New Hampshire. If you feel like your employer would cause problems for you or attempt to interfere at your next job, this is a recommended approach. When you should not use it: Borysenko cautions against this method if you’ve got a good relationship with your employer and want to maintain that. If you don’t give an explanation for why you’re leaving your job, she says, your boss may invent one that has nothing to do with the truth. If you’re comfortable with them, she recommends just being honest. What HBR says it is: You leave your manager a note or send them an email, or you tell HR or colleagues and let the message filter back to your manager. When you should use it: Slaughter recommends this approach if your manager is unavailable or unresponsive. “You might have a boss who is on an extended sick leave, or who travels all the time and never responds to your calls,” he says. When you should not use it: Don’t use this method just to avoid an awkward conversation. If you’re worried your supervisor will behave inappropriately, you can always tell HR first and ask for someone from that department to be present when you inform your manager, Slaughter says. What HBR says it is: You haven’t thought about how to quit a job. There was no planning; you didn't give notice, and instead you just quit in a hurry and left your company to worry about filling your spot. What it might sound like coming out of your mouth: Nothing. You leave one day and never look back. When you should use it: If your employer has a history of unethical behavior or has created a truly toxic or unsafe work environment, ghosting is acceptable, Borysenko says. When you should not use it: If you’re on good terms with your employer and want to maintain that after you leave. Ghosting will definitely kill that. Also, if you’re living paycheck to paycheck, you don’t want to leave on a whim. “Plan for it. Build security. Set yourself up with resources to live off of while you’re finding your next job,” Borysenko says. What HBR says it is: You attempt to sabotage the company or your co-workers, often with verbal assaults or other unsavory maneuvers on your way out. What it might sound like coming out of your mouth: Expletives and insults. (This is sometimes done via email or social media, too). When you should use it: Cursing is always bad form, regardless of your situation, but bridge burning isn’t necessarily verboten. “The ONLY reason you may want to burn bridges is if maintaining solid relations with the people in your company would somehow have an adverse effect on your long-term career goals or personal brand,” Liu says. If your company is undergoing a public investigation or known to be an abusive environment, it’s understandable for you to sever those ties as thoroughly as possible, he says. It's common knowledge that having a job while you're looking for a new one is better than looking for a job while unemployed. That's why you should always be looking for new opportunities—you never know when you'll suddenly (or not so suddenly) need to jump ship, and having a few prospects to fall back on will help you feel more secure in quitting. Want some help making headway to your next job? Join Monster for free today. As a member, you can upload up to five versions of your resume—each tailored to the types of jobs that interest you. Recruiters search Monster every day looking to fill top jobs with qualified candidates, just like you. Additionally, you can get job alerts sent directly to your inbox so you can be among the first to apply. These are two fast and easy ways to be proactive with your job search. The sooner you take action, the sooner you'll see rewards.